There are a number of infectious feline diseases that can strike your cat at any time. Cats are vulnerable to several bacterial and viral infections that can be fatal. Responsible cat owners should familiarize themselves with cat diseases and feline illnesses symptoms. In many instances, early detection could mean the difference between the life and death of your precious cat. Is your kitty sneezing, does it have a nasal or eye discharge, diarrhea, lack of appetite and generally listless? If so, it may indicate that your cat has an infectious (contagious) cat disease. You need to seek veterinary advice. In this chapter, we deal with the most common cat health issues that include infectious cat diseases of viral and bacterial origin. Cat flu is a term that encompasses a wide range of infectious cat diseases that affects the upper and lower respiratory tract of cats. Cat flu is also referred to as feline influenza and 'snuffles'. Bordetella Bronchiseptica bacterium causes Feline Bordetellosis, which is an upper respiratory disease and may possibly cause lower respiratory tract infections in kittens. In dogs it causes trachea-bronchitis or ‘kennel cough’. Calicivirus (along with the Herpes Virus) is thought to be responsible for over half of all upper respiratory infections in cats. Known by many names, this infection affects the eyes resulting in conjunctivitis which causes swollen, red and inflamed eyes. This feline disease has a plethora of names Feline Chlamydiosis, Chlamydia Psittaci, Feline Pneumonitis or Feline Chlamydophila. Feline Distemper aka Feline Infectious Enteritis (FIE) is a highly contagious cat disease caused by the feline parvovirus (FPV). Veterinarians may refer to it as Feline Panleukopenia Virus (FPV). 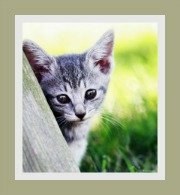 Visit the chapter on feline distemper symptoms and treatment for extensive cat disease information. Feline leukemia virus (FeLV) is probably the most lethal and contagious of the feline diseases - (apart from rabies of course). It's important as a pet owner to be able to recognize feline leukemia symptoms. Your vet will be the best person to guide on the treatment and prognosis of feline leukemia. Coronavirus called the Feline Infectious Peritonitis Virus (FIPV) is a fatal infectious disease. 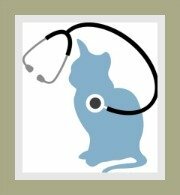 A profile on Feline Infectious Peritonitis and the symptoms and treatment of this deadly feline disease. This retrovirus attacks the immune system of cats and renders the cat incapable of fighting infections. The disease is often referred to as Feline HIV or Cat Aids. Feline Immunodeficiency Virus is similar to the Feline Leukemia virus. 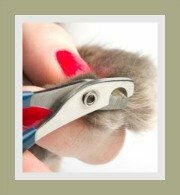 Read more about the disease in this chapter that deals with feline aids symptoms and treatment. This is a zoonotic disease, which means that the virus can be transmitted from animals to humans. The Rabies Lyssavirus is a serious and fatal disease in humans and animals. All these feline diseases can cause severe cat health issues or even death. Sadly, many of these common cat illnesses are preventable if cat owners ensure that their cats are vaccinated. 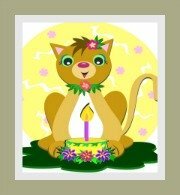 This cat vaccinations schedule provides a guide to the cat vaccines available to your precious cat. Cat owners can also reduce the risk of cats becoming infected by keeping cats indoors or in an escape-proof garden. Spaying and neutering will also decrease the cat's desire to roam and reduces the chances of infection and cat health problems. If your cat is ill, please be sure to seek urgent veterinary care. 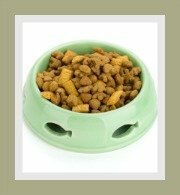 Your financial situation should never get in the way of you seeking veterinary care for your cat (or dog). There are some awesome cat health care plans available to pet owners. 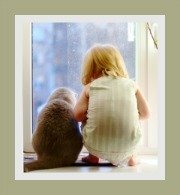 You will find a list of health insurance companies on our pet insurance page.